HAB (High Altitude Ballooning) is a growing hobby where enthusiasts use standard weather balloons to put small payloads typically 100g-1kg into “near space” at altitudes of around 30km or so, carrying a tracking device (so the balloon position is known throughout the flight) and usually some sensors (temperature, pressure etc) and often a video or stills camera storing to an SD card for later retrieval. The job of the tracker is to read the location from the GPS receiver, possibly also read some sensors, and then format and send a telemetry sentence to the ground over a low power radio link. Flights only happen once the predicted path is known to be safe (avoiding airports and densely populated areas for example) and permission has been gained from (in the UK) the CAA. Here the tracking system uses the 70cm radio band (around 434MHz) using RTTY to send the telemetry down to a number of ground stations run by other enthusiasts. 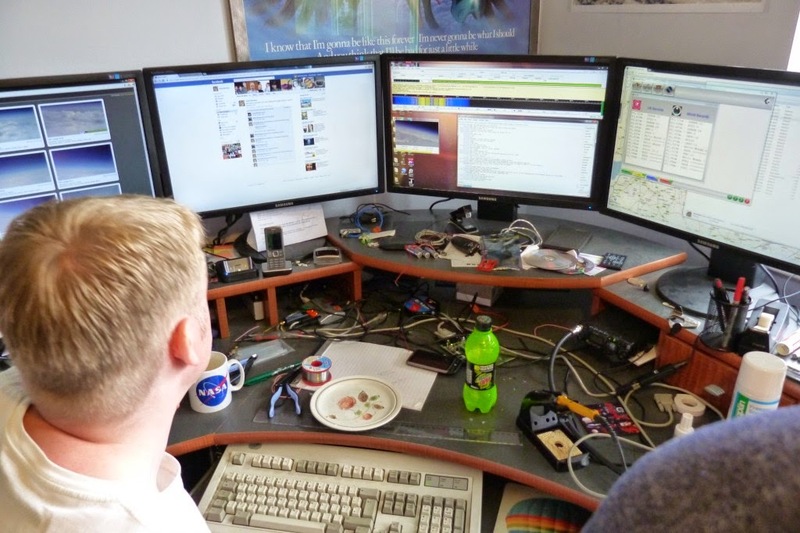 Telemetry from all receivers is sent to a central server that then drives a live map which can be viewed by anyone with an internet connection. The system works extremely well and has been used to track payloads at distances of 800km and more even though the transmitter is limited by UK law to 10mW ERP. 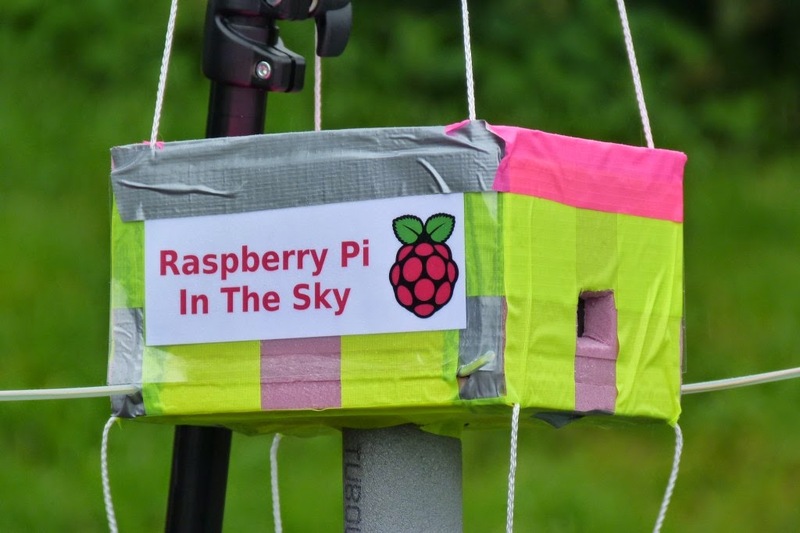 In early May I received my first Raspberry Pi computer, and having flown several high altitude balloons before I thought about using one as a flight computer. In almost all of my previous flights I used Arduino Mini Pro boards, and these are ideal – tiny, weigh almost nothing, simple and need very little power. I looked at the Pi and saw none of these desirable features! What I did see though was a USB port offering quick, easy and inexpensive access to a webcam, meaning that for the first time I could have live images (SSDV) sent down by my payload – something that hasn’t been done very often.